This ladies and gentlemen is the vast assortment of lotion, perfume, body mist, lipstick, eye liners, eye shadow, foundation and nail polish I currently own. Yes, it’s true. I am a makeup whore. 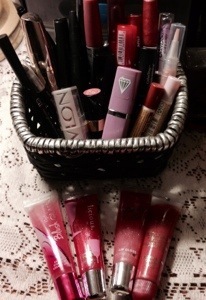 As a teenager, I was never allowed to wear makeup, so that is probably what started my obsession in collage. This has long since developed into a full on addiction. I have never been able to find that perfect shade of lipstick. So I have a full range of pink options. Yes, I like pink. 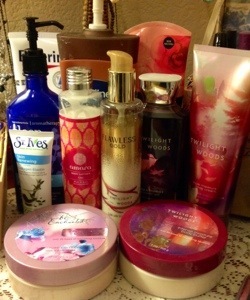 I LOVE lotion, mostly Bath and Body Works, but I have a few others as well. 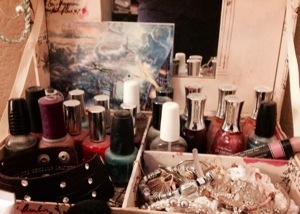 I have no idea why I have so many bottles of nail polish. 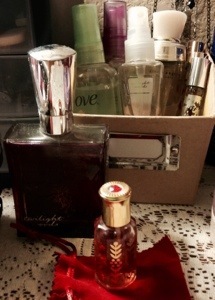 I hardly ever use any of it. I just peal it all off after only wearing it for a day or two. Sometimes I’m lucky if the nail polish lasts an entire afternoon. And I keep buying more of it! I cannot leave the house without wearing at least foundation. I have a ton of it because I can’t find a brand that doesn’t leave my face feeling oily and gross after a couple hours. I have the same problem with eyeshadow. I love how it looks, but after a while my eyelids feel heavy and oily. Blech. 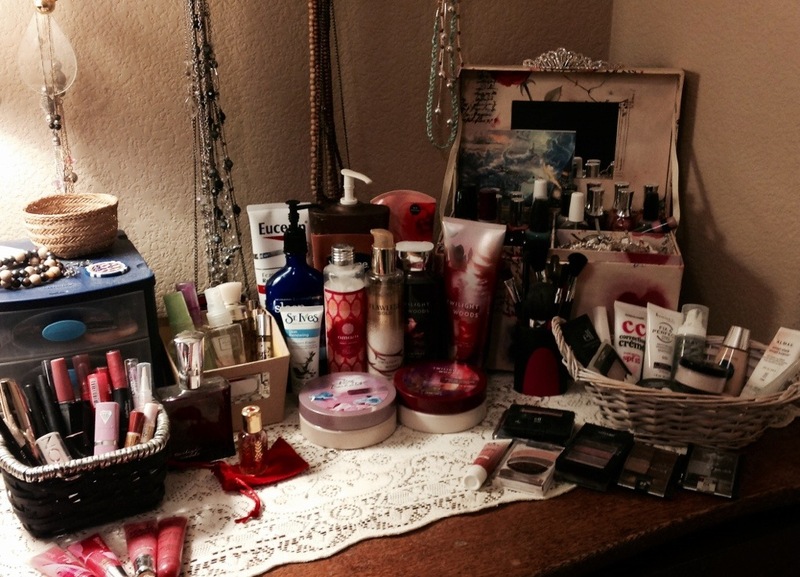 I mean, seriously…could this be considered a hoarding problem?